Cheap, modern touch-ups for your kitchen! The kitchen is the one room in the house that gets outdated the most quickly. With technology and trends changing regularly, it can be hard to maintain a modern and sleek kitchen that is as stylish as it is functional. Often it can be daunting to think about all of the expenses of a kitchen. Giving it a modern look just seems like it will be a never-ending expense! You'll have to replace appliances, repaint walls and add new features—our wallets are burning just thinking about it. Not to fear! Today at homify, we are going to show you how you can give your kitchen a modern look without spending too much. Opt for silver appliances, such as a silver refrigerator, microwave and toaster, and you'll instantly create a kitchen that looks very modern and technologically-savvy. 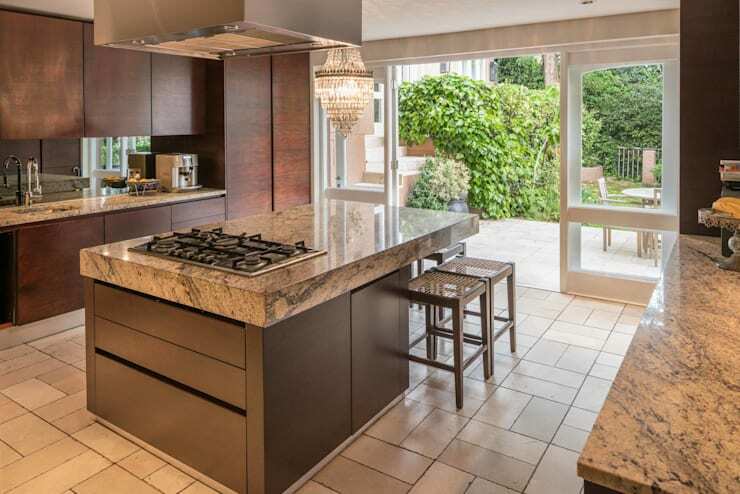 Kitchen electronics and appliances play such an important role in the daily function of your kitchen area that it's also alright to invest in quality products. They will last you a long time and will save you money in the long run from having to replace them constantly. Also have a look at these other: Kitchen accessory must-haves. 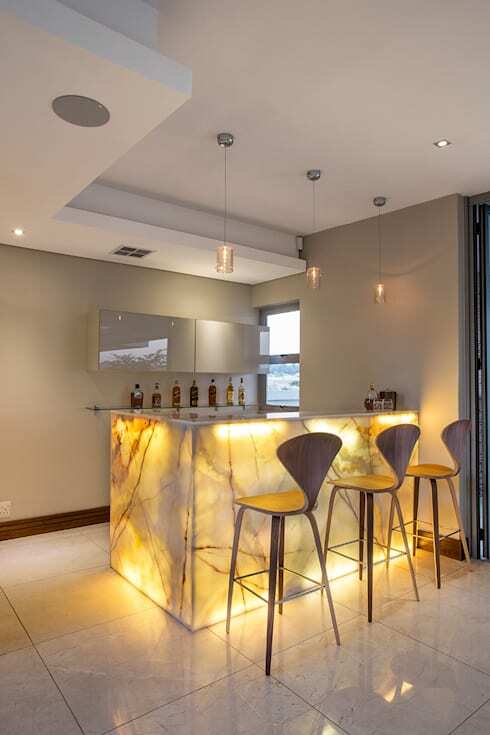 Kitchen lighting can enhance the entire space, illuminating certain details as well as creating ambiance. Be sure to invest in bright lights over the stove and preparation area, so that the chef can see what he or she is doing, as well as soft lights that will create a gorgeous, warm and welcoming space. You can also invest in lanterns and candles for that extra touch of soft illumination too! You don't have to spend a fortune on investing in good quality and elegant looking materials in your kitchen. Opt for granite or marble counter tops. Not only do these look incredibly sophisticated but they are durable, easy to clean and will last a lifetime. Don't you love how the professionals have paired a light brown granite counter top with chocolate brown cabinets in this design? Choose your colours carefully so that they work in harmony with one another. 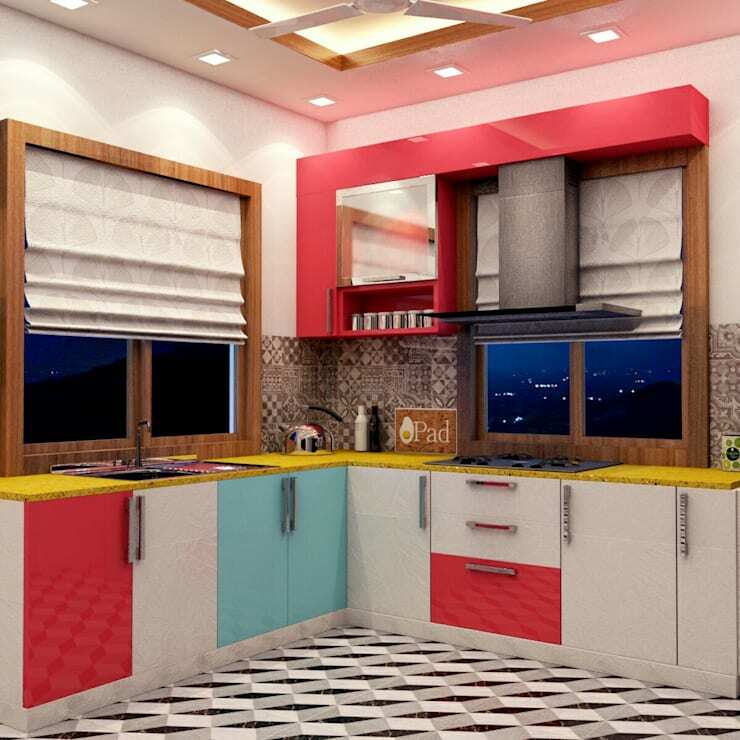 Another option is to add a bright colour to a very neutral or minimalist kitchen, like the designers have done in this image. 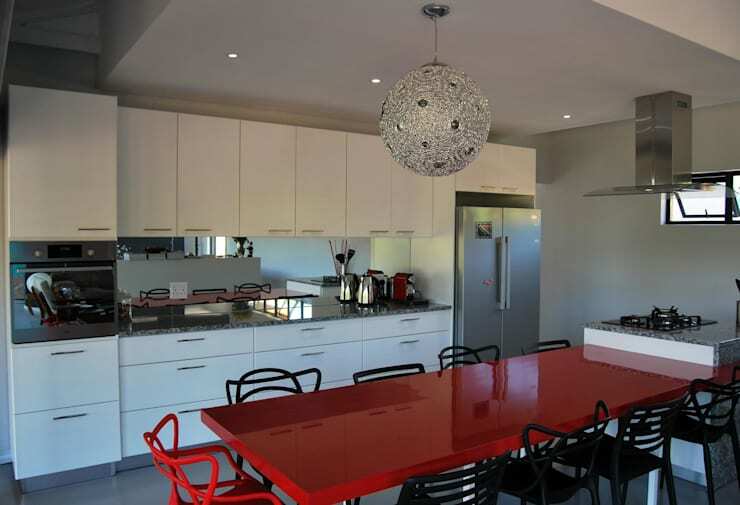 Opt for a bright red kitchen table, colourful chairs or some vibrant artwork. This will add personality and soul to your cooking space. 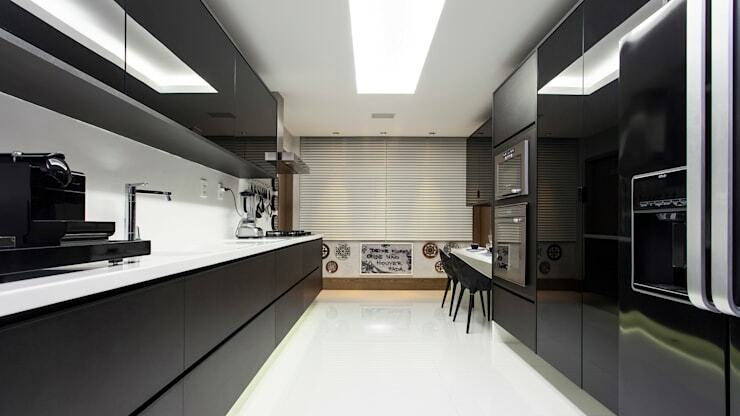 Black and white are very impressive colours to use together in a kitchen because of their dramatic contrast. Opt for black walls and white floors or black features with white walls. 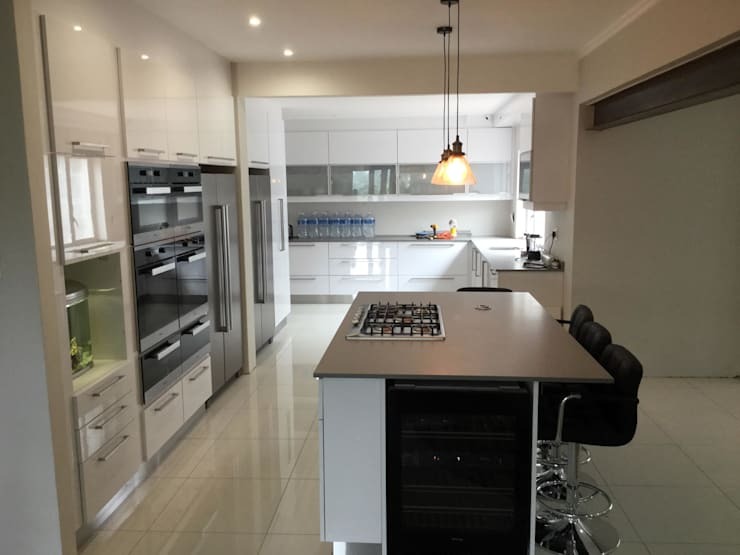 Another option is to go for the all white kitchen, creating a very sleek and minimalist look. 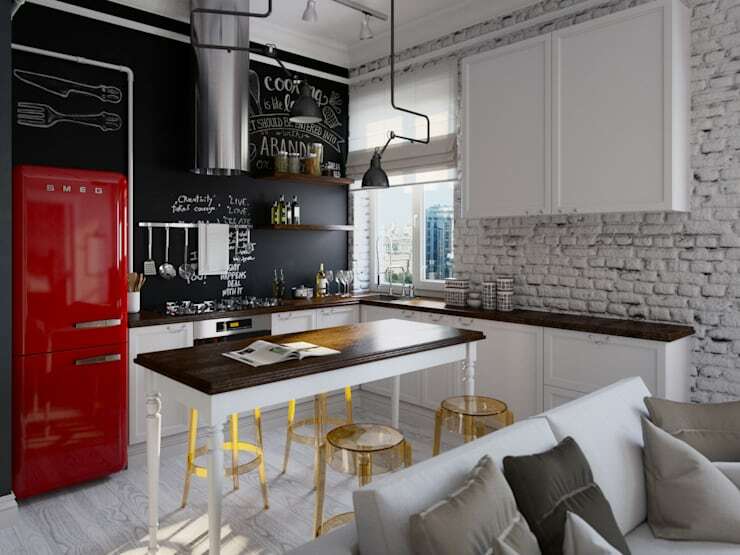 Have a look at this ideabook: The white kitchen: yay or nay? Introduce pastel tiles or patterned wallpaper to your kitchen in a variety of colours, creating a cheerful spot that the family will never want to leave. Wallpaper or ceramic tiles don't have to be expensive either and there are so many options available. Also opt for kitchen textiles that enhance your home such as place mats, table clothes and curtains. 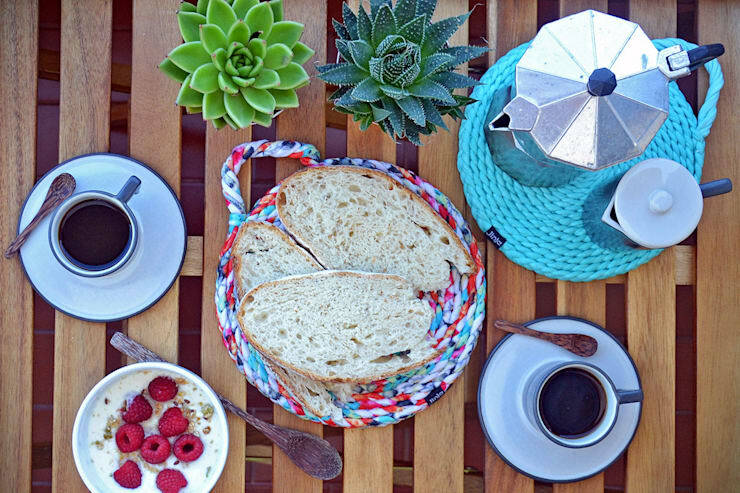 These can be created by yourself or your family members as a fun DIY project. Recycling and arts and crafts go hand in hand and are very popular at the moment! Paint one of the walls black and use it as a giant chalk board! Not only does this look aesthetically appealing, but it allows you to write down recipes or quotes that will inspire the whole family to get cooking. Also have a look at these tips: Utilise that empty kitchen wall. 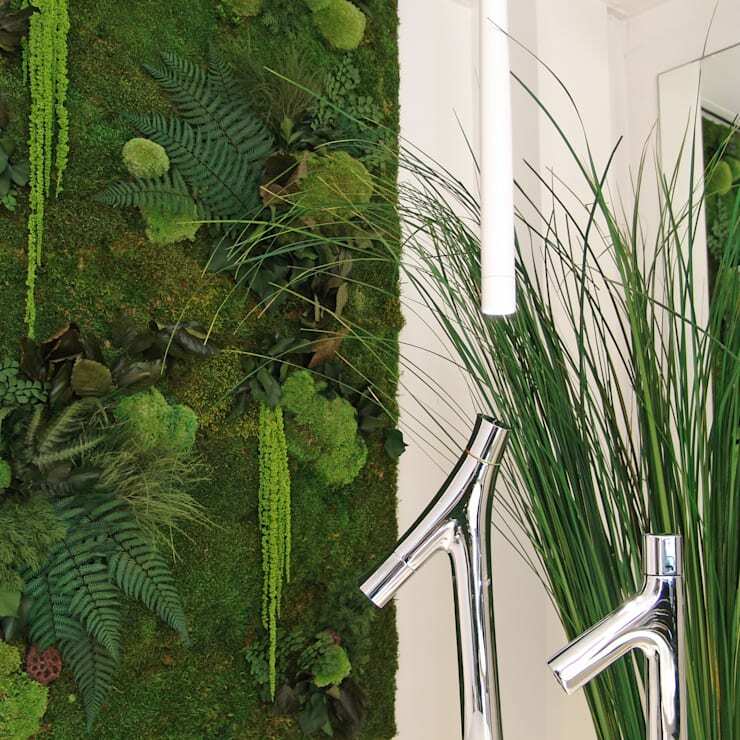 Another option for a kitchen wall, which will make the whole space look that much more modern, is to introduce a vertical garden. You can also simply add a few vases of flowers or plants. These introduce a natural form of decor into a space, creating a very homely, natural and beautiful environment. You'll also be more likely to go for the green smoothie rather than the doughnut if you're surrounded by beautiful greenery! Did you enjoy this ideabook?